As world population increases, water conservation becomes more important than ever. It is predicted that global water demand will increase by 55% between 2020 and 2050. Therefore, reducing our water consumption, and developing new sources are necessary. Outdoor watering can account for 50 to 80 percent of home water use in the spring and summer. Much of the water applied is wasted through inefficient watering practices or poor choice of plant materials. 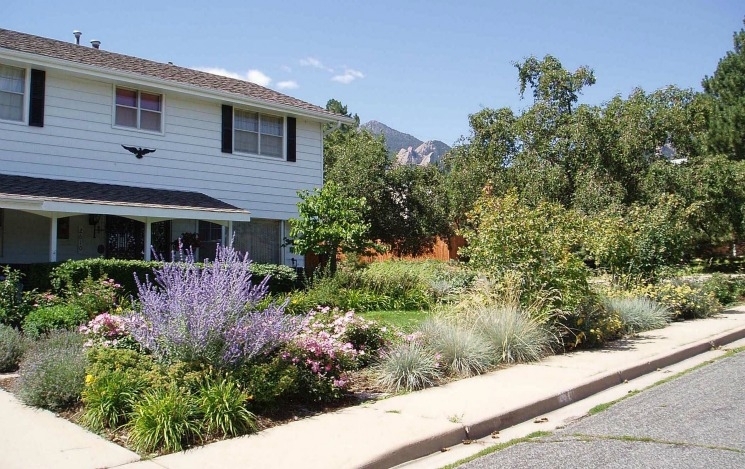 Use of water efficient landscaping can conserve as much as 10,000 gallons of water per year. This water conservation effort can also save you money. Lose the Lawn – One of the most common types of grasses for lawns in Texas, Bermuda, can use more than 4,000 gallons of water per week for a 7,000 square foot lawn. That totals out over 170,000 gallons every year, and even more in extreme conditions, such as drought! Consider drought resistant turf varieties when installing a new landscape. You may also consider reducing the amount of turf area in your yard all together – especially if you don’t have children or pets that need a large lawn area. Native Plants – Plants that are native to your region require less water and maintenance than non-native plants. Just remember that Texas is a big state with varying climate. A native plant in the Corpus Christi region will likely not do well in the Lubbock region. Check out the Lady Bird Johnson Wildflower Center to find out what plants are native to the High Plains ecoregion of Texas! 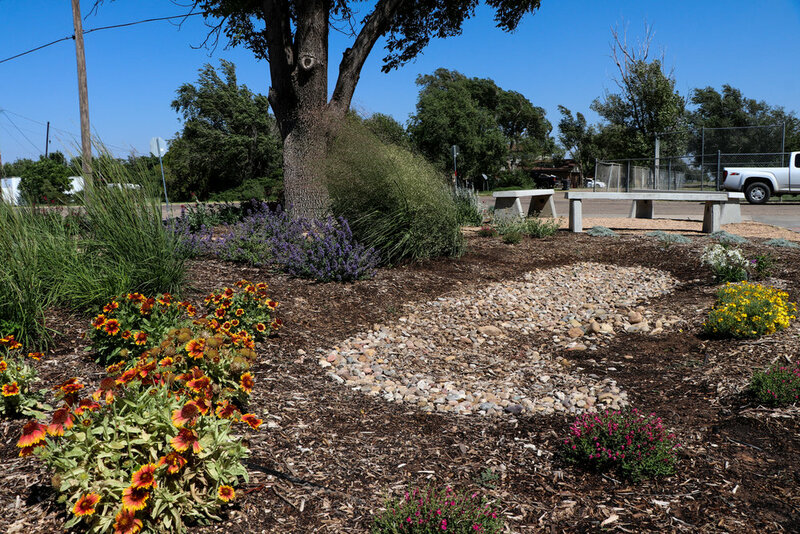 Drought Tolerant Plants – Plants that require less water are a great way to beautify your landscape. Don’t think that drought tolerant plants are limited to cacti and succulents. Lavender and poppy are colorful and fragrant plants that can withstand high temperatures with little water. Texas Smart Scape Plant Database is a great resource to find plants that require low amounts of water to thrive. Utilize Watering Zones – Grouping plants that have the same watering needs can greatly reduce the amount of water applied to a landscape. Place thirstier plants closer to the house where they can be watered with a garden hose or utilize roof runoff. Place native plants that can survive on rainfall farther away from the house. Mulch Plants – Using mulch helps retain soil moisture, cools the soil and prevents those water-stealing weeds! Natural mulches will gradually break down and add nutrients to the soil. Inorganic material, such as rocks, are a more permanent solution. However, they can also absorb heat in hot weather. Rainwater harvesting – Catching and storing rainwater is a great water conservation technique. It helps conserve groundwater, provides irrigation water during times of drought, and can also be used as a backup water supply in emergencies. An inch of rainfall on a 2,000 square foot roof can provide up to 1,246 gallons of water. You can find more information on rainwater harvesting in this previous blog post. You may not be ready to undertake a landscape makeover right now – especially with the hot temperatures and below-average rainfall. However, there are a few other tips to consider between now and the fall season. Water at the Right Time – Wait until early morning or late evening to water your landscape. Water evaporation losses can be as high as 80 percent on hot, windy days. Also, be sure to comply with your local watering ordinances, if applicable. Use the Right Amount of Water – Knowing your soil type can help you determine the amount of water needed in your lawn or garden. As a general rule of thumb, light sandy soils need to be watered more often than heavier clay soils. Let Your Grass Grow – Keeping grass at the proper height develops a deeper root system that can find water and nutrients in the soil. When mowing, keep your grass at the upper recommended limit, which is approximately two inches for most varieties. Fertilize Regularly – Thin turf is prone to sun damage and increased weed populations and will require additional water to recover. Dense and healthy turf needs less water to maintain. There are many ways to conserve water in the landscape. All are great for the environment, future generations, and your wallet. Don’t delay – start conserving water today!